I came across a brush guard & some fender rails at a dealer that was selling off old stock. 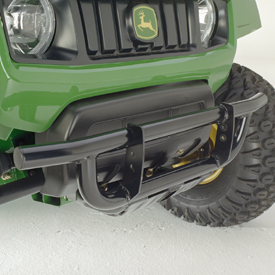 The bumper I got was substantially larger than the one pictured on the website. 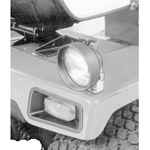 The brush guard and fender rails won't fit without extensive modification, however it is a substantial, heavy duty bumper. I will have to do some cutting and welding to make it all work. Prompt processing and shipping as always from the GreenDealer.